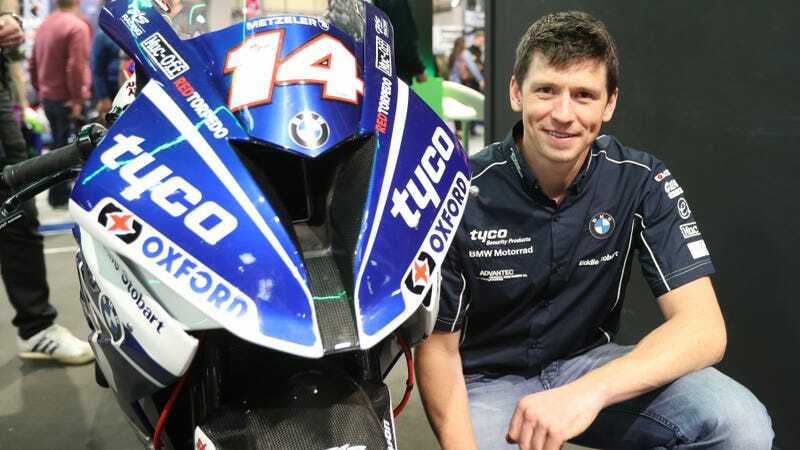 Tyco BMW Superbike rider Dan Kneen died in a crash during Wednesday evening’s practice session for the Isle of Man Tourist Trophy, reports Autosport. Kneen was 30 years old, a local to the Isle of Man and had been racing in Isle of Man events since 2008. Kneen lost control of his BMW and crashed on his first lap of the 37-mile Mountain Course near Churchtown Wednesday evening. He died at the scene of the crash. A tree also caught fire in the incident, forcing fire crews to respond, according to IOM Today. The session was red flagged and later cancelled as a result. Rider Dan Kneen at Ballaugh Bridge during Monday evening’s qualifying session for the 2018 Isle of Man TT. Dan had an accident at Churchtown on the first lap of the session and died at the scene of the incident. ACU Events Ltd wishes to pass on their deepest sympathy to Dan’s partner Leanne, his family and his many friends in the road racing community and beyond. A course car responding to Kneen’s incident collided with another rider, notes Autosport. That rider, who has not been named by the race organizers, was then airlifted to a nearby hospital. No update on his condition has been given.